​For some to be sent, others must send. There is an assumed biblical connection required between those working in the ministry and those supporting it. Both are called of God for an urgent work. 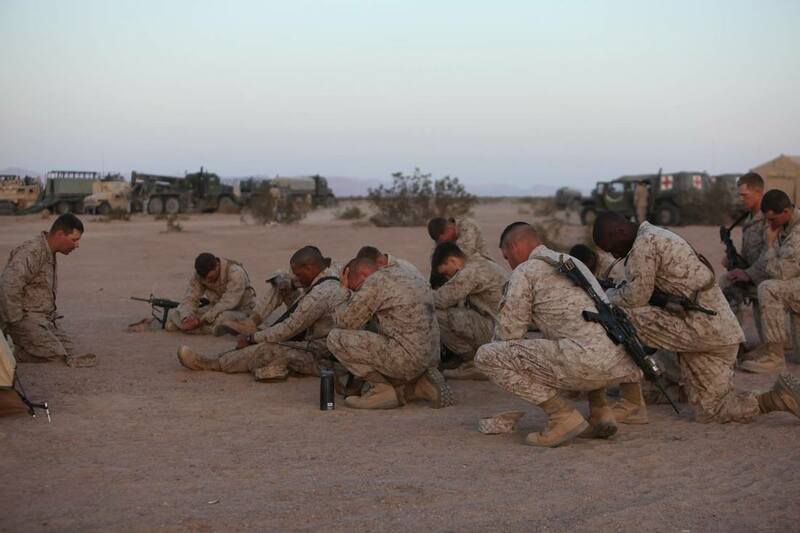 As a chaplain serving with the Marine Corps Infantry in Combat, the urgency of ministry is felt as very real. Upon returning, however, one can be lulled into the idea that there is plenty of time and no need for the same urgency. That is a lie. Every day folks struggle with loss of hope, purposelessness, depression, loneliness even suicidal thoughts. Everyday folks die and enter a Christ-less eternity. The time for action is now. We at true North Community Church believe that life, purpose and hope are found in Jesus Christ. ​The difference between being in a “post-Christian” culture and a “pre-evangelized” culture is one of direction and focus. We are in a war for the lost. Simply put, our purpose of spreading the gospel is spiritual warfare. As we engage our community, we must remember that the non-believer is not the enemy but the battlefield. Our mission is urgent and requires faithful commitment. We must resist turning inward and playing defense. We seek to grab and hold a spiritual foothold in northern Michigan. The Holy Spirit's plan has been to continually engage and draw in the lost, to build up and equip the converted, and to send out the believer… empowered and equipped. Our desire is to join Him in that ministry by being a church that plants other churches and becomes known for the number of believers sent out on mission and into ministry. I fell in love with northern Michigan when I first visited here in 1991. It was a beautiful place with fantastic people. It held a sort of mystical quality to this boy from the California desert. Two decades later, I met Katie, the woman who would become my wife. I was not at all surprised that she came from this amazing part of the country. Our life together led us into ministry and eventually into the military chaplaincy. Over the next 16 years, Katie and I would often travel back to the area. As we reconnected with friends and family members on our visits, they would share stories of the struggles folks were dealing with in this area. We would hear the stories of suicide clusters, substance abuse, and loss of direction and of hope. More than once, Katie and I would remark to one another, “They really need to know Jesus.” It was more than just a Christian cliché; we were hoping that God would send someone to Northern Michigan to start shining a light into some beautiful yet spiritually dark places. It took us a while to realize, but here is the truth. If you keep praying for God to send someone somewhere, it is likely that you are the one He is prepping to send. I loved ministry in the military. While serving with the Marines, I noticed that about 50% self-identified as some form of Protestantism and 25-30% self-identified as Catholic. I did a little research on the Northern Michigan area and my heart broke. The last survey in 2010 showed that more than 70% of those responding had no religious identity. We clearly understood the urgency. 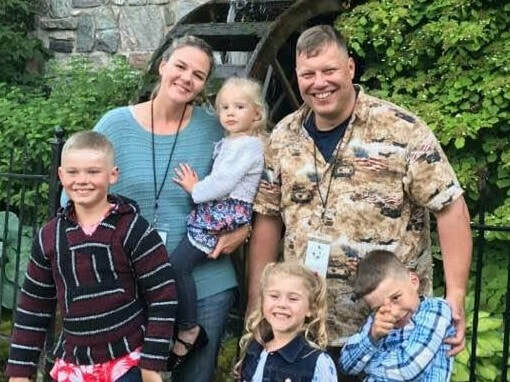 I made plans to transition out of the military and moved my wife and kids from Alaska to Northern Michigan. We figured I’d join them in a few months. The Navy had other plans. I jokingly say it was the Navy but I know God often works through institutions. A month after leaving my family in Michigan, I was informed that instead of joining them in February I would have to stay until at least September 2017. I grumbled inside at the Navy and was a little upset with God, too. The truth was that God was working things in His time. It was at this time God began preparing us for some specific ministries yet to come. While Katie was struggling with the demands of parenting without me in the area, we experienced the challenge so many single parent families endure. We could see a need. We know now that our ministry in Michigan and Katie’s call specifically should focus this. While all this was going on, a small group met in Petoskey. Agape Baptist Church had just lost their pastor and six people met with a representative from the denomination to figure out if they should close their doors or do something else. The rep suggested they consider hosting a replant. (In a replant, a church planter comes in and starts something new in an established location.) They agreed to meet with the planter, and on Christmas Day 2016, I first these folks who would become my next church family. I knew I could not be on the ground until the fall of 2017. We could however begin some of the transition. We adopted a new name and a new constitution. Then we made changes to the sanctuary, the worship platform, and all sorts of things were in preparation for what is coming. The amazing thing has been the steady spiritual growth of the people who call themselves True North Community Church. We are seeing lives lived with greater and greater connection to Christ. As a pastor, I am moved by the level of participation we have by everyone here. We have over 40 people who participate in worship. If we do a church event and need volunteers, I will have nearly all of those folks here. We are seeing the gospel spread life-by-life, family-by-family and house-by-house. This is an amazing work of God and I know that He is going to provision it through partners that he has prepared. If this is a ministry with which He asks you to partner, now is the time to give. We are looking for partners to support the ministry monthly. We are asking for support for the next 2 years until we are a fully self-sufficient church. “Full funding” allows both Katie and me to focus wholly on ministry here at True North Community Church. 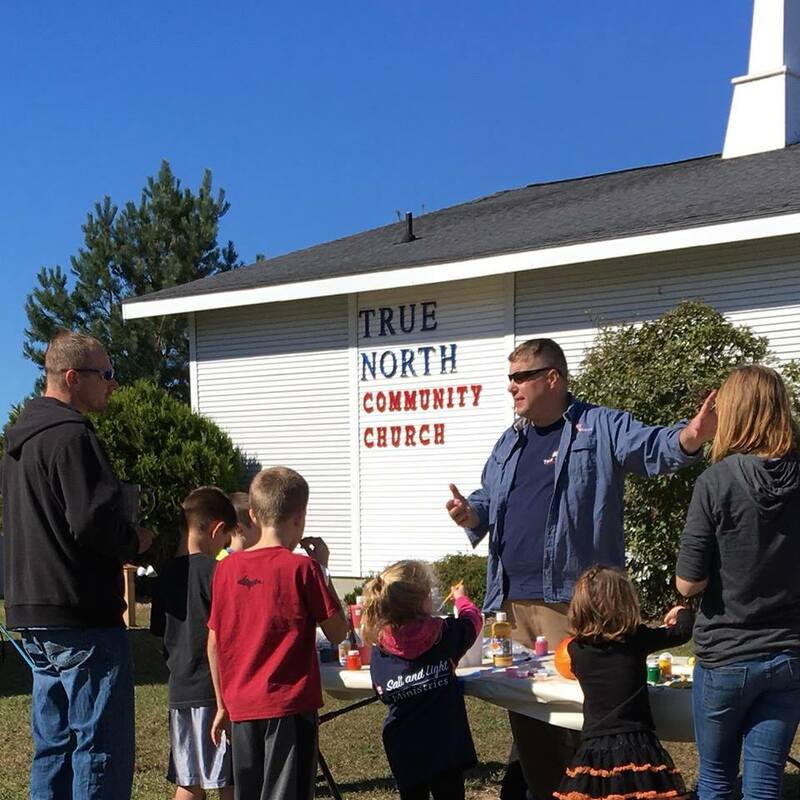 True North Community Church gives faithfully. As their ability to support us fully increases, our need for outside support will shift. 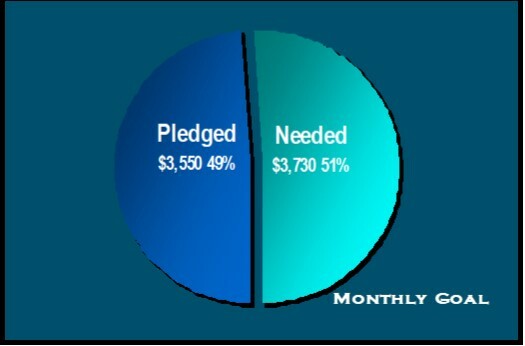 Our full funding goal in Northern Michigan is $7,280 per month. That amount covers the salaries for Katie and I; housing and health insurance for our rather large family. Many hands make light work. Full support equals 44 partners spread among the following giving levels. The chart shows where we are today. The Southern Baptist Convention offers a link to help support our ministry. One-hundred percent of what is given through that website comes to Katie and me to help support this ministry. From there you just click on the “give” button. You could also text the word give to the below phone number(s) to get started.